 Home › Politics News › Buhari Commission Train, Airport Terminal, Others By PDP But Says PDP Did Nothing? Buhari Commission Train, Airport Terminal, Others By PDP But Says PDP Did Nothing? and completed any major project. He has only managed to complete about 5 projects started by the PDP government. Yet Mr President is still continuing with his condemnations against the past administrations ruled by PDP candidates. Buhari again on Monday tackled his predecessors for allegedly failing to invest in infrastructure despite the resources that accrued to Nigeria under their watch. But the only time we made huge money from oil was 2008 to 2014. In fact, Buhari is making more money in 4 years than Obasanjo made in 8 years. So why complain? According to a statement by his Special Adviser on Media and Publicity, Mr Femi Adesina, the President spoke while receiving the outgoing British High Commissioner to Nigeria, Paul Arkwright, at the Presidential Villa, Abuja. Buhari said with the humongous resources at the disposal of Nigeria between 1999 and 2014, it was sad that infrastructure went to rot completely within the same period. 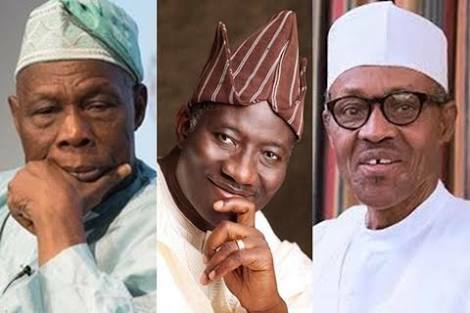 Although he did not mention names, former Presidents Olusegun Obasanjo, Umaru Yar’Adua and Goodluck Jonathan were in the saddle between 1999 and 2014. Buhari was quoted as stating, “Our focus now is on infrastructure – roads, rail, power, and others. How I wish we had fixed all those when we had money. 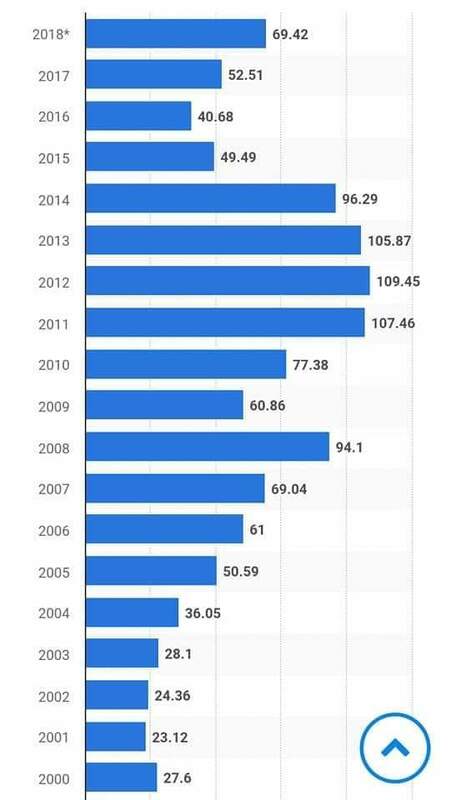 This is how much Nigeria made each year from oil between 2000 and 2018 (so far). And Buhari is also making more money from Tax and Customs than all previous administrations. So, please we need to stop the blame game and focus on truth, performance and accountability.